View our range of Hylomar adhesives here. It is sold in singles or 12. Hylomar blue is a gasket and jointing compound which is non-setting. 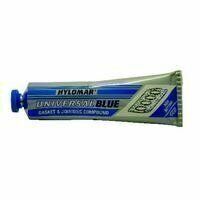 Hylomar blue is tried and tested by the trade, hence used by thousands of engineers each year. Order before 4.30pm for next day delivery.